Is it safe for diabetics to eat as much fruits as they want? Home > Health > Is it safe for diabetics to eat as much fruits as they want? There are a lot of misconceptions about diabetes. One misconception is that diabetics can eat as much fruits as they have been used to. Learning the truth about diabetes will help manage and control the disease effectively. We all know that fruits are important sources of other dietary essentials like vitamins, minerals, and fiber. These are very nutritious since they contain good amounts of beta-carotene, vitamin C and vitamin B complex. These vitamins protect the eyesight, keep the skin smooth and clean, prevent the occurrence of some bleeding gums and easily- bruised skin, and increase body resistance against infection. They are also good sources of fiber. Fibers can be water-insoluble or water-soluble. Generally, water-insoluble fibers help the colon by speeding up elimination of waste, sugar and fat from the body. These are found in wheat, rice bran, whole wheat bread, fruits and vegetables. Water-insoluble fiber includes the plant cell wall structural component and the woody structure in plants. 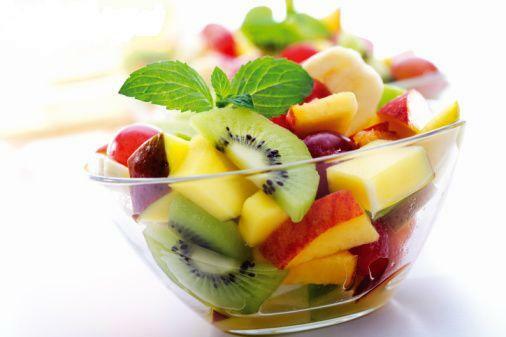 The general belief is that fruits contain natural and complex sugars perceived to be beneficial to the body. The sugar in fruits, however, is different from the pure simple sugars. Some fruits contain more fructose than glucose and may contain fructo-oligosaccharides or other complex carbohydrates Fruits may cause an increase in blood sugar when taken in excess. A diabetic person should include at least one exchange of fruits rich in vitamin C daily in the diet and take more often fruits rich in dietary fiber. Remember, it is important to take fruits in combination with main meals and consumption of these should be spread out during the day. A diabetic person may also consult a dietitian about the frequency, amount and types of fruits to be eaten. The dietitian can recommend low glycemic index (GI) fruits such as mango, banana and calculate the glycemic load of particular meal. GI is the measure of the glucose response of an individual to food. Knowledge on GI of particular foods will help in the proper control and management of diabetes mellitus. Fruits that are prepared or canned in syrup should not be given to diabetics even if the syrup is rinsed off. Choose canned fruits and juices that state “no sugar added” or “unsweetened”.